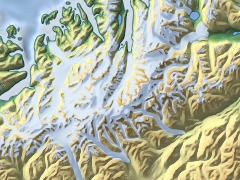 Coastlines are one of the most important elements to display in maps. More elaborate information on the importance of generalization for a well readable coastline representation can be found in an essay I wrote. 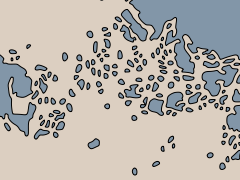 The coastline data I offer here is generalized using a technique I developed. 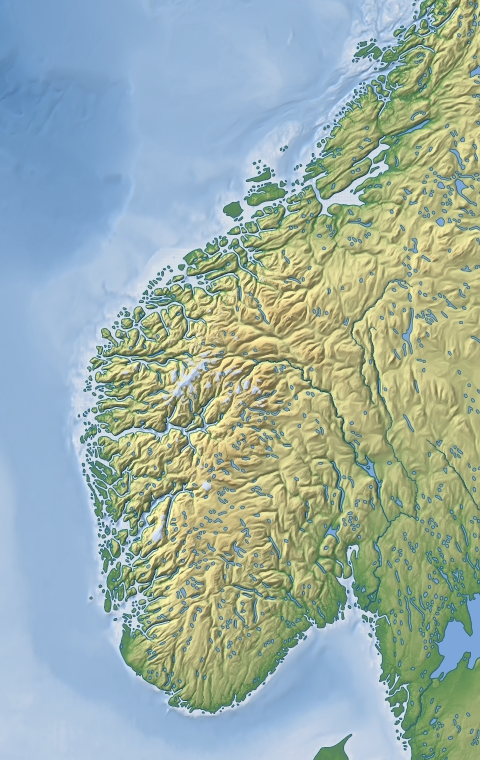 For good results the generalization needs to be performed specifically for the map projection used and should be adjusted to the scale and the style of the map. For testing a set of coastlines generalized for web maps in web mercator (EPSG:3857) projection at zoom levels 1 to 8 is available for free under CC license. 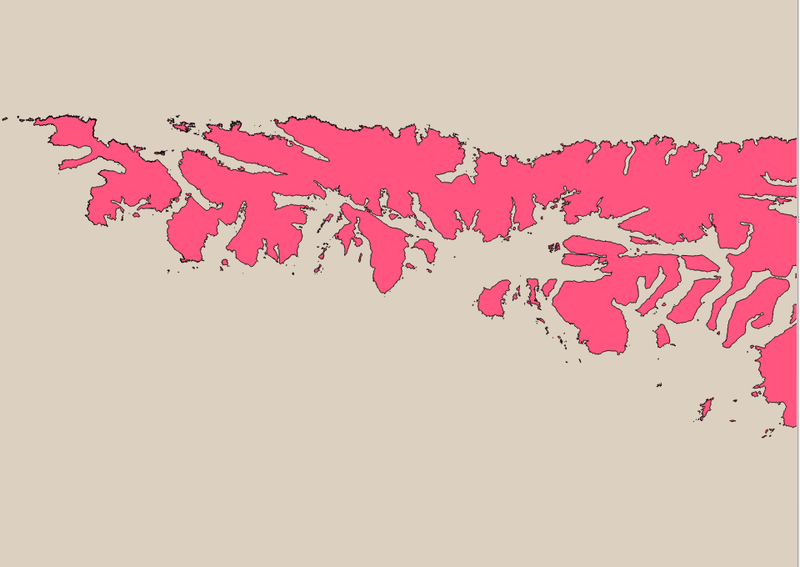 license constraints based on ODBL OpenStreetMap data, attribution required. 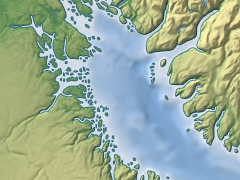 Generalization of the coastline serves to remove detail from the data that can not properly be displayed at the target map scale leading to a cleaner and better readable map while preserving key features of the coastline that would not properly show in a direct rendering of the raw data. What parameters are best for the generalization depends on the kind of map the data is going to be used for. Print maps call for different settings than maps for screen display. It is also important to generalize for the map projection used. If you are interested in generalized coastline data use the form below to describe your needs and i will get back to you. 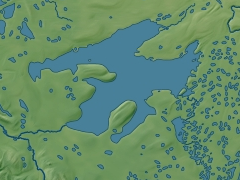 Generalization of the lakes is using a similar technique as for the coastlines although in combination with the rivers things get much more complicated. See the more elaborate description of the process for details. 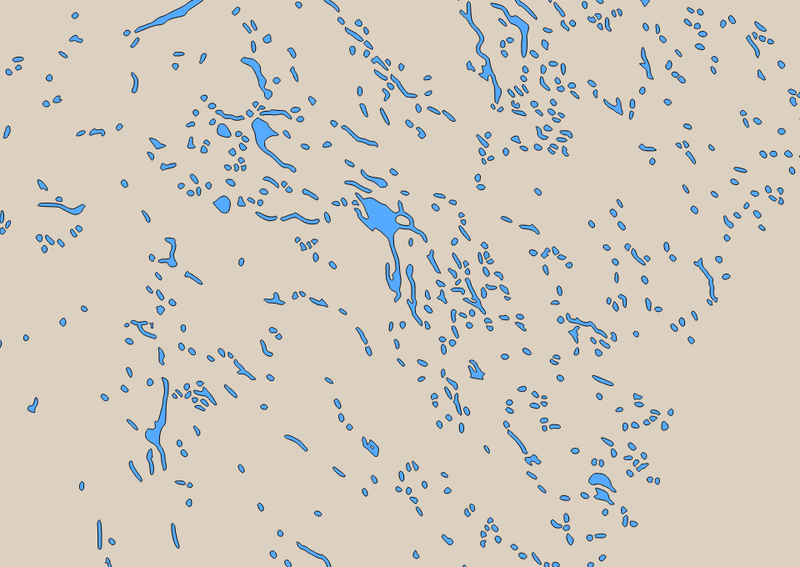 An example for use of generalized rivers and lakes in a map can be found in the demonstration map. As a result of the significant processing required this is currently not regularly produced for the whole globe but custom local processings can be made upon request. 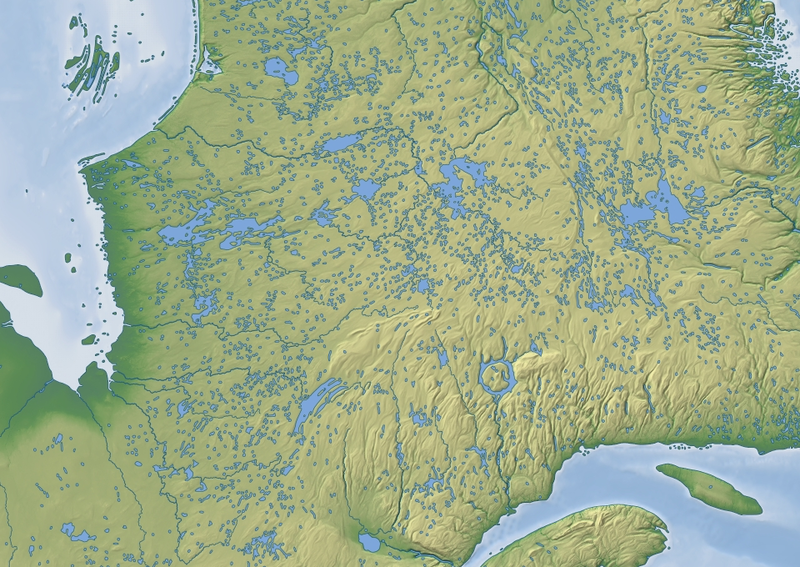 Like in case of the coastline generalization of the lakes and rivers serves to remove detail from the data that can not properly be displayed at the target map scale leading to a cleaner and better readable map while maintaining the major drainage patterns created by the rivers. What parameters are best for the generalization depends on the kind of map the data is going to be used for. Print maps call for different settings than maps for screen display. 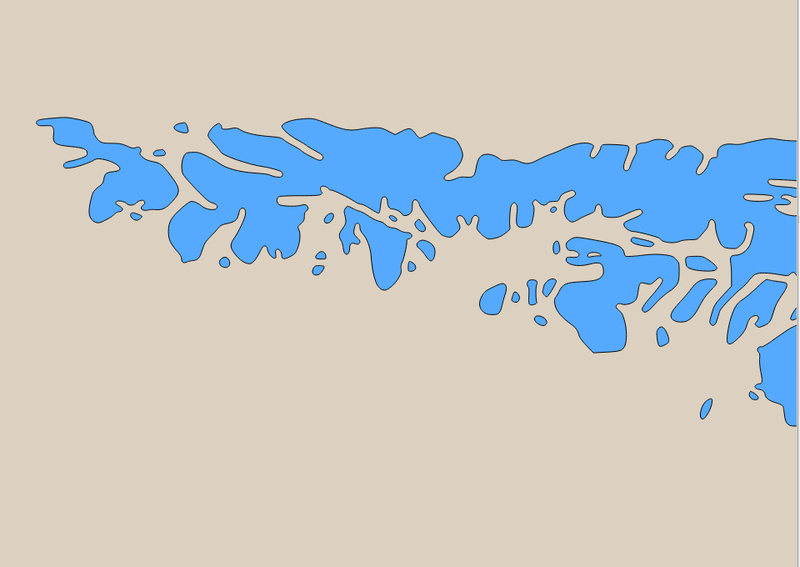 If only the major rivers are supposed to be shown or also the smaller ones depends on what other elements are displayed of course as well. If you are interested in generalized lakes and rivers data use the form below to describe your needs and i will get back to you. 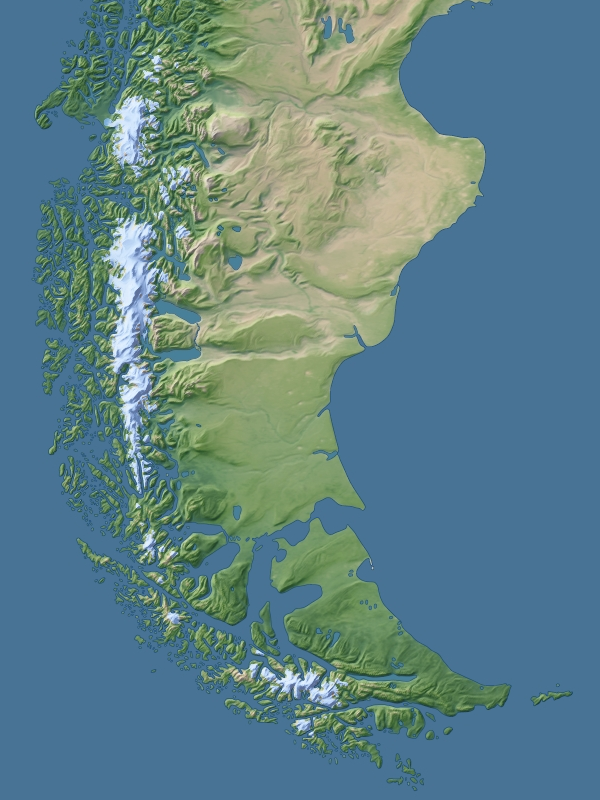 A generalized global dataset of all glaciers is offered for use in map rendering. 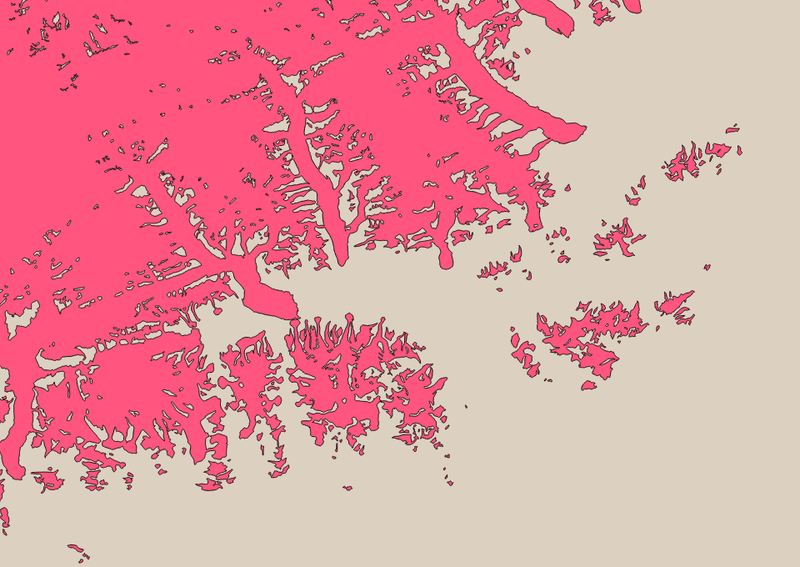 This is based on a combination of different data sources - together forming the most detailed and up-to-date glacier data set currently available. 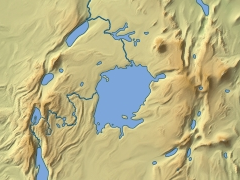 As with the lakes and rivers an example of use of this data can be seen in the demonstration map. 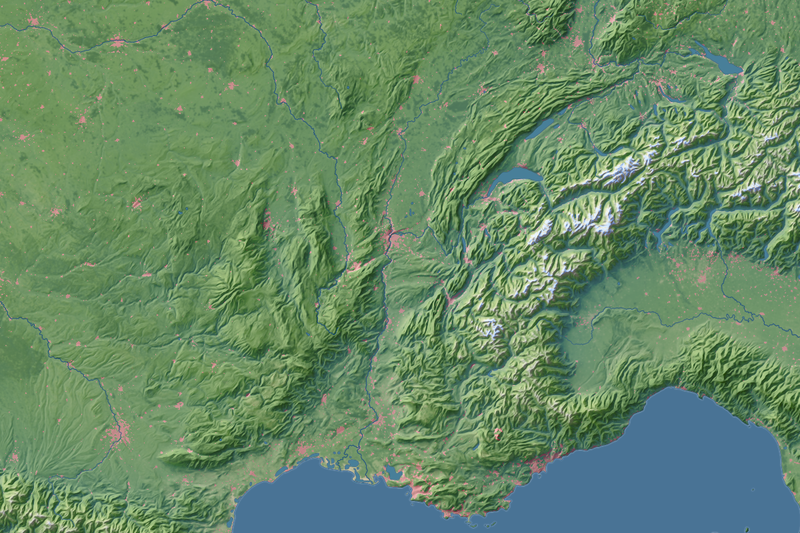 For testing I also prepared a sample data set of generalized glacier geometries of the western Alps for zoom levels 5 to 12 in web mercator (EPSG:3857) projection - under CC license. 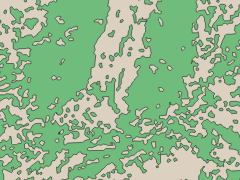 license constraints partly based on ODBL OpenStreetMap data, attribution required. 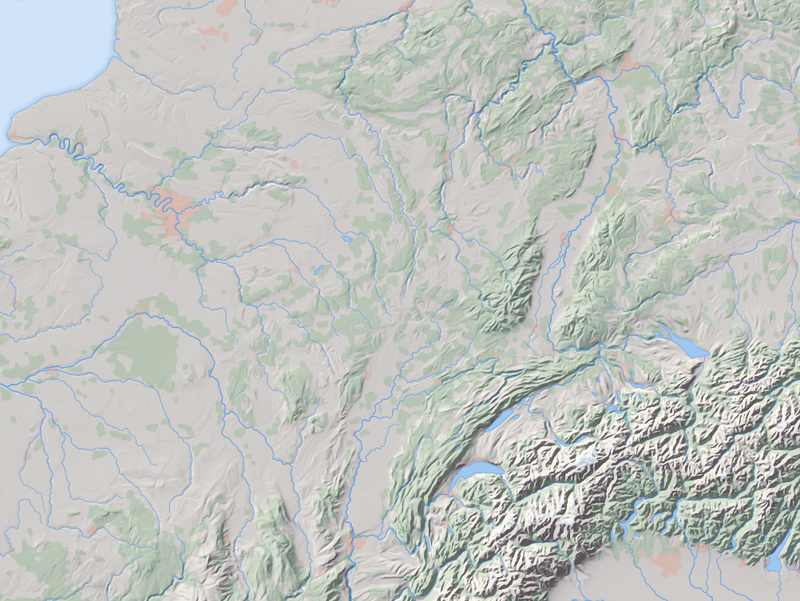 Custom productions without OSM data can be provided without contraints but limited coverage. If you are interested in generalized glaciers data use the form below to describe your needs and i will get back to you. 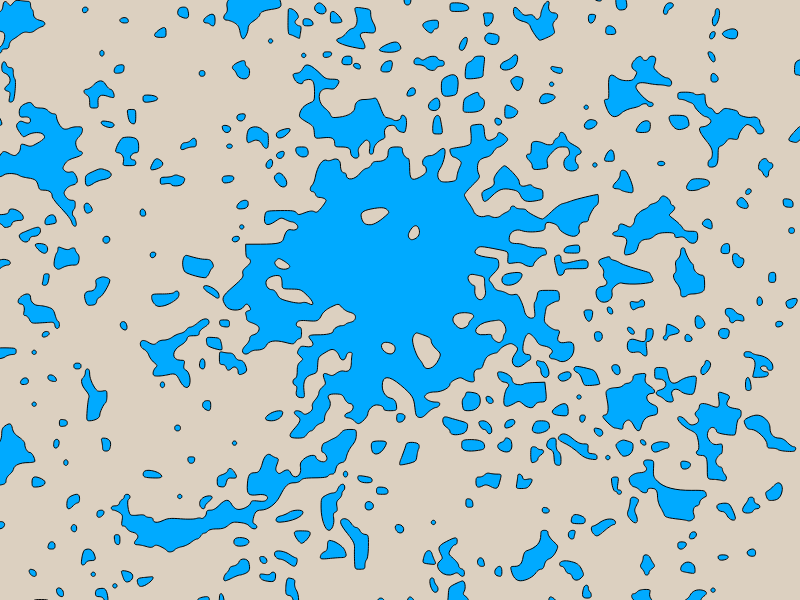 Cities and towns are displayed in many maps but their extents are often based on outdated data. 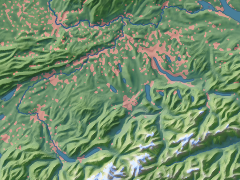 A custom designed processing system is used to process detailed building and landuse data from OpenStreetMap into generalized polygons outlining the settlements that can be used for accurate depiction and lower magnifications where the original data is too detailed to be used directly. A more elaborate description of the process and the purposes of such data can be found in a separate background text. There you can also find a sample data set. Like for other map features generalization of settlements serves to remove detail from the data that can not properly be displayed at the target map scale leading to a cleaner and better readable map. In addition the process used aims to unify varying styles of source data in different regions. Since settlements often have no clearly defined boundary rendering them is much more a subjective matter of style than for other features. 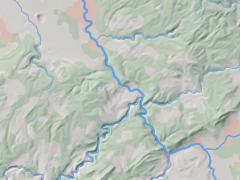 Processing needs to be customized for the map style for good results. If you are interested in generalized settlement data use the form below to describe your needs and i will get back to you. 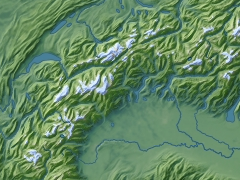 Generalized renderings of land covers like woods and forests can also be produced. 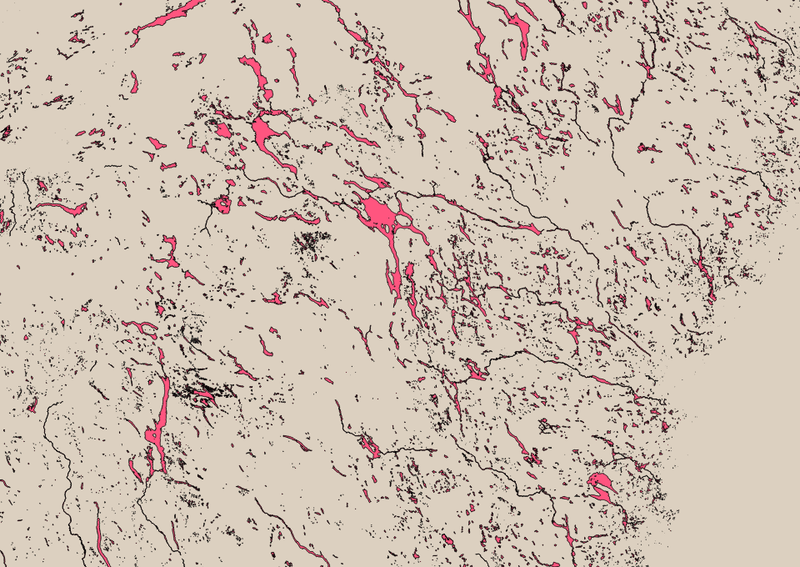 These can be created from OpenStreetMap data or from other data sources or a combination of both. 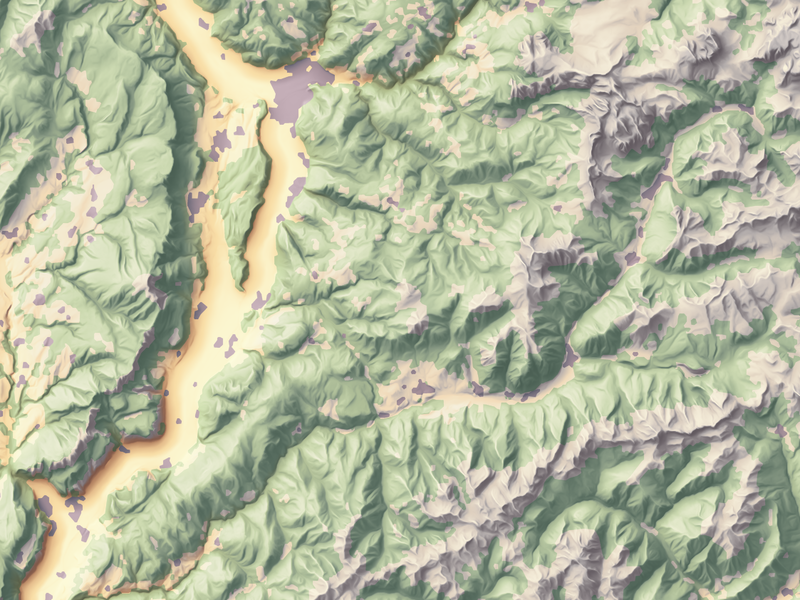 Landcover data processing can also be adjusted to make sure it matches other features shown in the map like waterbodies. 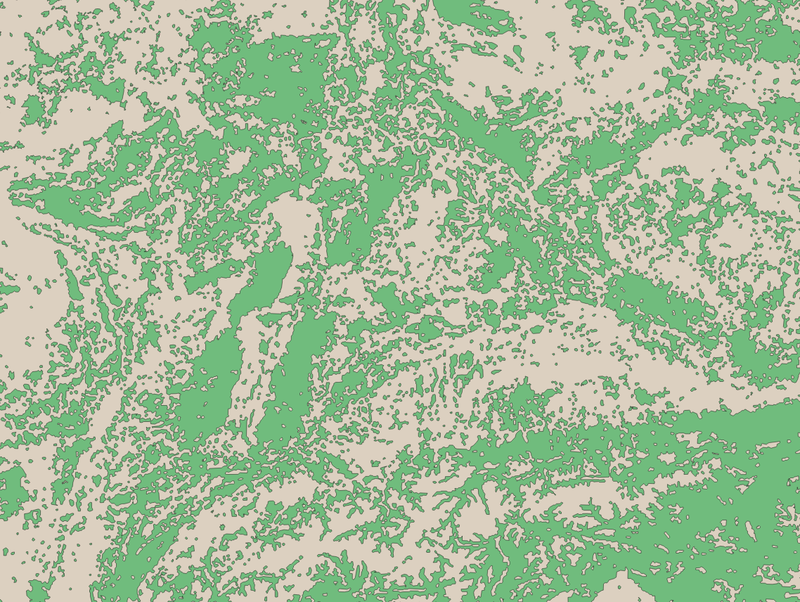 license constraints attribution required in case ODbL OpenStreetMap data is used. If you are interested in generalized landcover data use the form below to describe your needs and i will get back to you.